This little boy has cake on his head and he doesn't care, he's just tearing into that cake by Bold City Confections. It says "mine" on the front, which is PERFECT for any toddler! 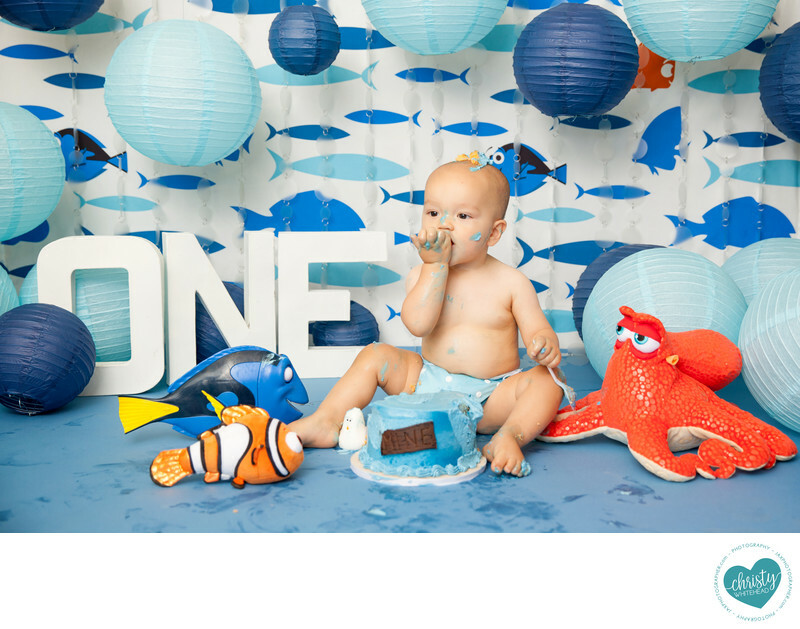 I love photographing these fun and creative cake smash sessions.